Order Your Temperature Gun Here! Temperature Guns like this one are being used by turf managers to monitor overheating golf greens. But also at home, at school and at work. Read all about its many uses below. Why Use A Temperature Gun? Infrared laser temperature guns are a great tool in turf management, especially for bentgrass. Too much heat stresses the plant and can lead to deterioration. Syringing is required when the leaf temperature reaches 93 to 95 degrees. This is where the temp gun comes in handy. 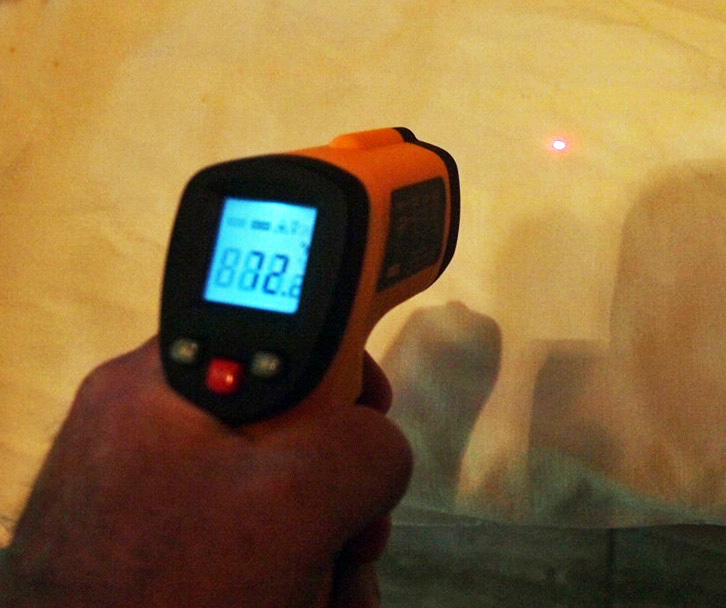 A temperature guns use an infrared laser to instantly read surface temperatures of whatever it is pointed at. In this case, it is the grass blade surface that you are reading. Remember that syringing is not the same as watering. Syringing only moistens the blade surface so evaporation cools the surface. A note on humidity and syringing: Evaporation that leads to cooling is much more efficient in lower humidity. In western states where high summer temperatures are the norm, bentgrass often thrives much better than in southern states where high humidity prevents efficient evaporation. 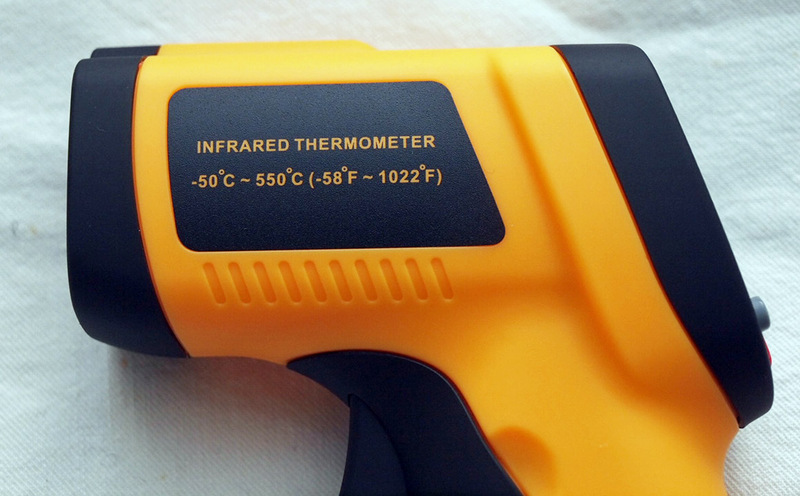 This instant read temperature gun becomes the tool of choice for checking surface temperatures. This is due to the low cost, compact size and ease of use. Simply set it for Celsius or Fahrenheit and pull the trigger. The temperature is instantly displayed on the screen. You will find that the more you use this tool the more uses you will find for it. Turf managers rely on this tool and so can you. If your grass is sensitive to heat this tool can help you stay on top of where the most severe heat related problems exist. 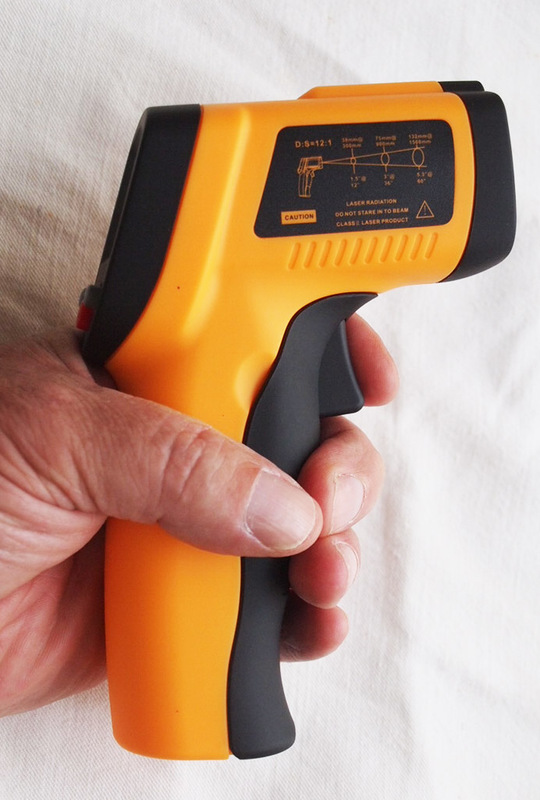 Instant read temperature guns are a handy tool for everything from measuring cooking pan surface temps to checking the surface temperature of playground equipment. Every parent of small children should have one of these temperatures guns handy. When on the playground you can read the temperature of playground equipment without touching it. From a few feet away you can see just how hot or how cool the surface is. 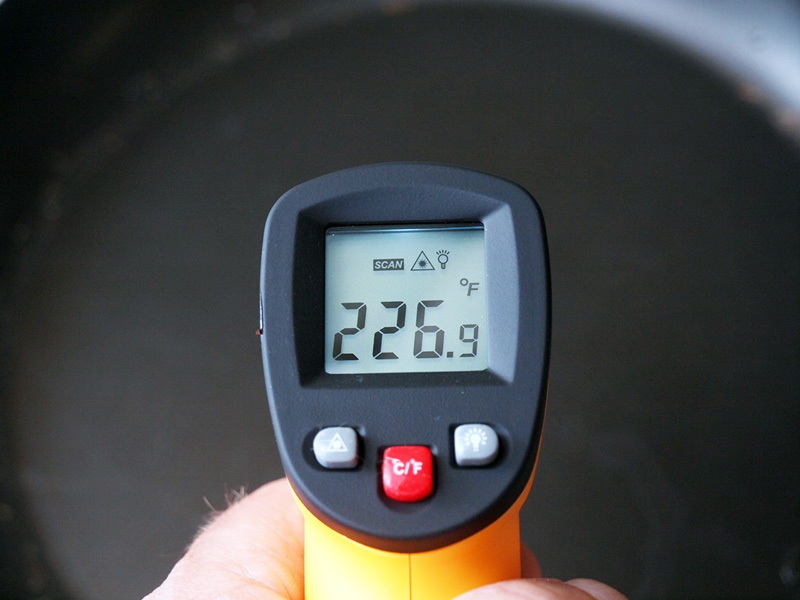 You can read the surface temperature of an engine block, hot water pipes, road surfaces, sidewalks, cooking surfaces and anyplace where the surface temperature is important to know. 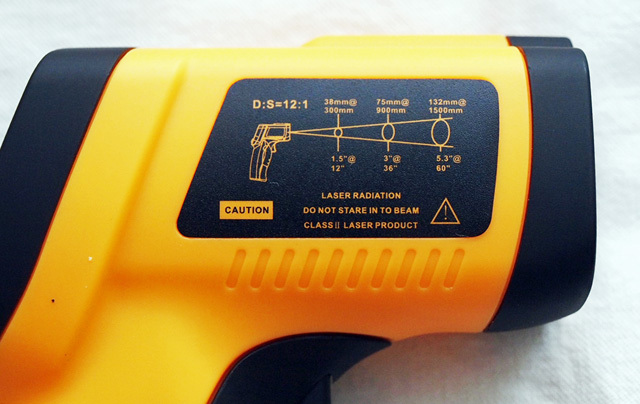 Our infrared laser temperature guns instantly read temperature from -58 to 1022 degrees Fahrenheit (-50 to 550 Celsius). Batteries are included. Never look into the beam. It is an infrared laser. It can measure skin surface temps, but never point at anyone's face.